We recently investigated the cause of damage to a local residence involving a water leak. You would think that a water leak would be obvious, and it was, but the cause of the water leak wasn’t. The water was found to have been coming from a bathroom shower valve. It seems that water was leaking from the valve because of a broken plastic piece of the valve stem housing. 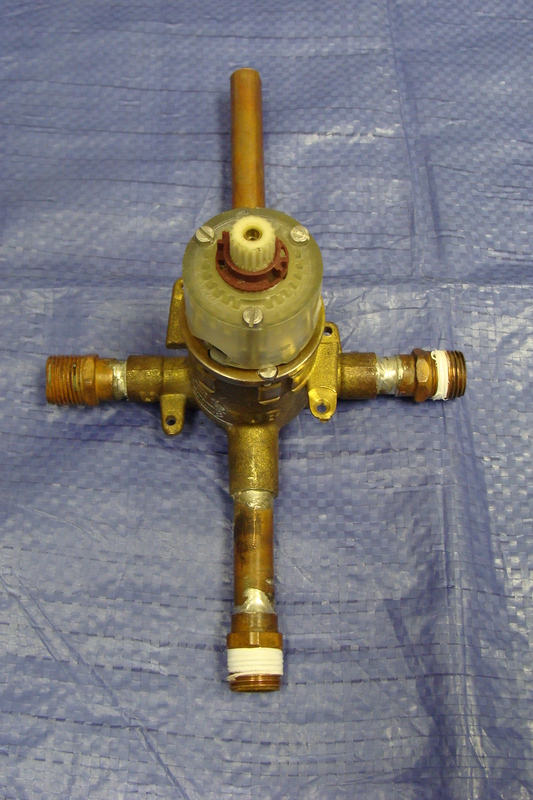 The valve is shown in figure 1. The valve was later removed by the insurance company’s restoration contractor and turned over to an engineering firm for examination. The engineering company later determined that the valve contained a manufacturer’s defect in the form of a poorly formed plastic component. The report also stated that no indication of installation error was found. It should be noted that there were only three modes of failure possible: installation error, manufacturing defect, or a freezing episode. It should be further noted that this incident occurred in January when temperatures were cold enough to support a freezing scenario. The expert’s engineering report did not mention a freezing scenario as a possibility of failure. Why? If the report had mentioned the possibility of damage by freezing, then the insurance company’s case would have been severly weakened. By not including the possibility of freezing in the report, the insurance company could file suit against the general and plumbing contractors and increased their chances to recover what it had to spend in order to repair the residence. The expert’s report was clearly written in order to substantiate the insurance company’s position without consideration and explanation given to all possibilities of failure. As a result, it became clear that the opposing expert was a “hired gun”, someone paid to testify on their client’s behalf regardless of the facts. These are the kinds of people (and companies) that should be avoided at all costs. They can be discredited easily because of their lack of consideration for all the facts. The case was later settled out of court for a fraction of the plaintiff’s originally claimed damages.